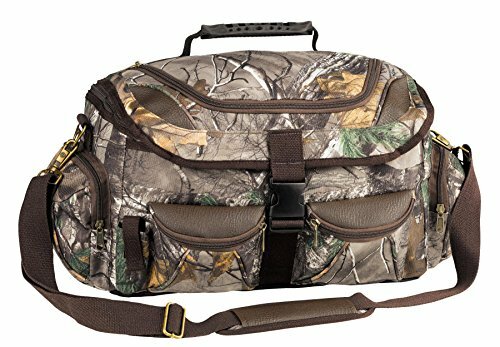 A hunting bag needs ample storage space while being durable and comfortable. That’s what we though was most important when selecting the best hunting bag. We liked the durability and strength of the ALPS OutdoorZ Ranger Day Pack. The fabric handle is webbed for easy carrying and the shoulder strap is padded so you are comfortable. Extra gear can be carried due to the bartacked webbing and the large front pocket is perfect for staying organized. 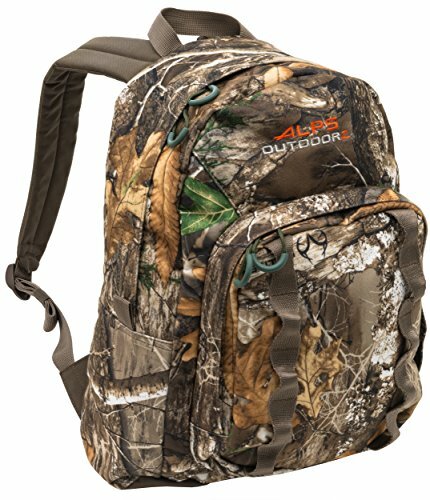 If you are just getting started with hunting activities or you are introducing your teen to hunting, this is a great beginning hunting bag. It has a capacity of 1450 cubic inches and only weighs 1 pound when unloaded. 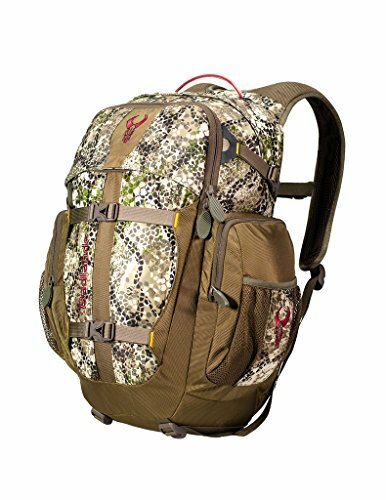 The webbed fabric handle makes carrying this bag very easy and the padded shoulder straps are very comfortable when you are hiking to your hunting spot. The bartacked webbing allows for extra gear to be carried easily and there is a large front pocket for maximum organization. You will have plenty of room for additional clothing and gear. The mossy oak design fits in perfectly with your surroundings and the bag is just as stylish as it is functional. If you’re in the market for a lightweight, easy-to-carry hunting bag, look no further than Badlands Pursuit hunting bag. This easy-to-carry backpack is made from KXO-32 fabric with Hypalon-reinforced stress points. This makes this bag ultra-durable, even when trekking through the forest on your hunting excursions. This bag has everything you need for a hunting trip to your personal tree stand or even local hunts. The pattern of the bag conceals movement very well so that the bag itself doesn’t scare away game. There is room for water bottles or a hydration bag as well as 5 storage pockets and it even includes bedroll straps. The Air Track Suspension from Badland’s makes this one of the most popular hunting bags on the market today. One of the best things about this Badlands backpack is the lifetime guarantee they offer on their bags. They stand behind their products 100% and the unconditional lifetime guarantee that they offer (the ONLY one in the industry) proves that. This outdoor field bag is perfect for wading and hunting waterfowl as well as duck and deer hunting. It has plenty of room for your gear and includes a tough, long-lasting strap. It even includes an insulated drink holder that is detachable. This is a great blind gear bag and it will match your duck commander waders perfectly. The shoulder strap is adjustable and makes carrying the bag easy and comfortable. It also has a rubberized handle for comfortable carrying and features 8 external pockets for all your hunting gear. The design of this bag works well to carry basic gear whether you are just hunting for the day or are on a multi-day trip in the woods.